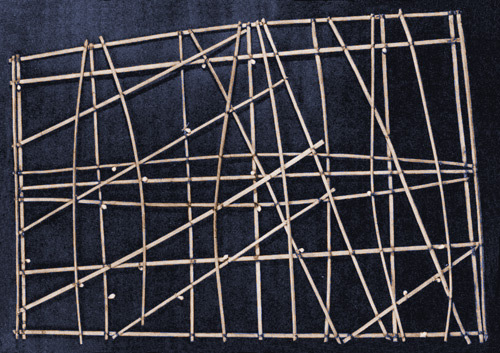 Stick charts were made and used by the Marshallese to navigate the Pacific Ocean by canoe off the coast of the Marshall Islands. 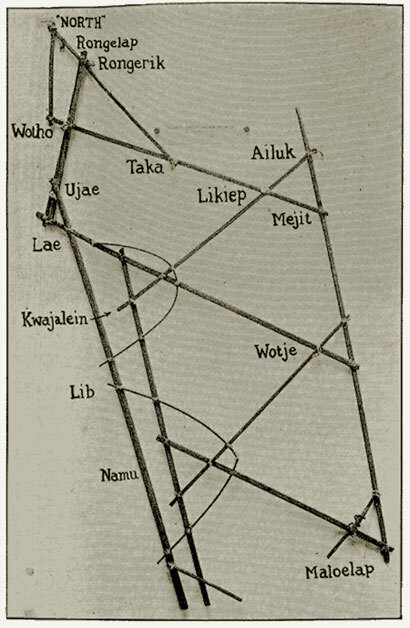 The charts represented major ocean swell patterns and the ways the islands disrupted those patterns, typically determined by sensing disruptions in ocean swells by islands during sea navigation. 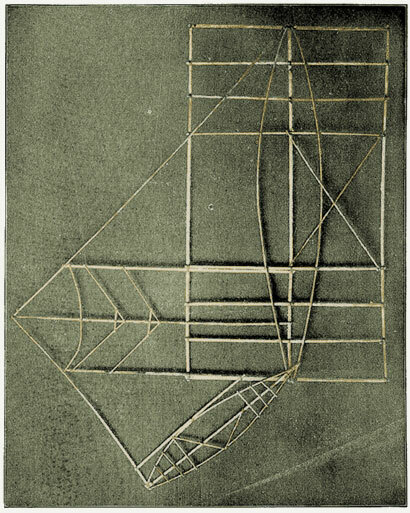 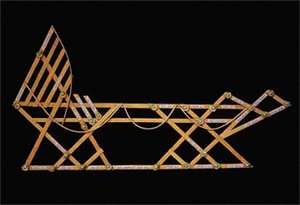 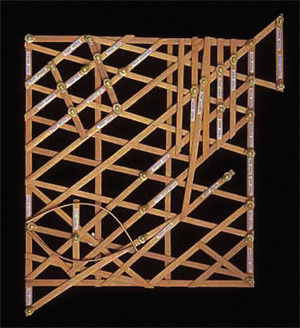 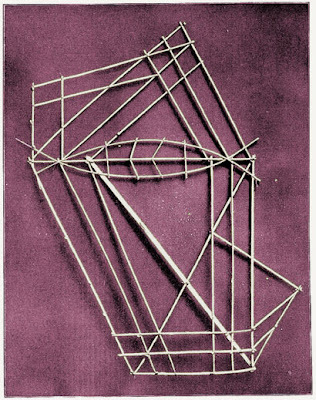 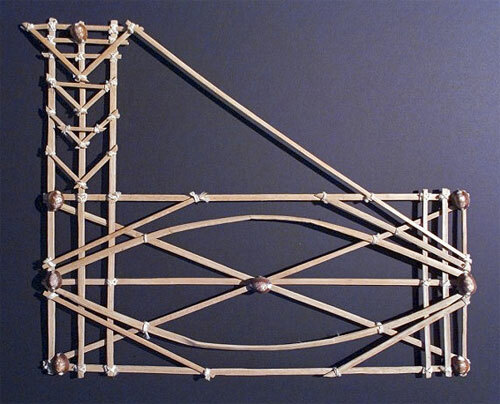 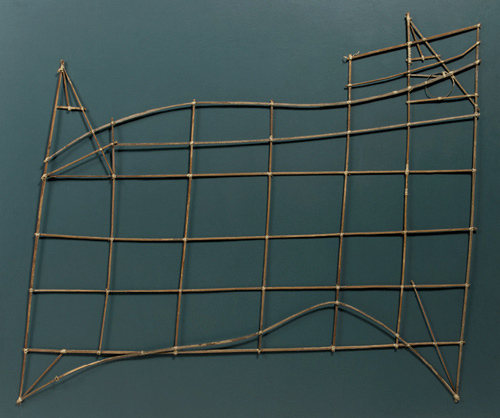 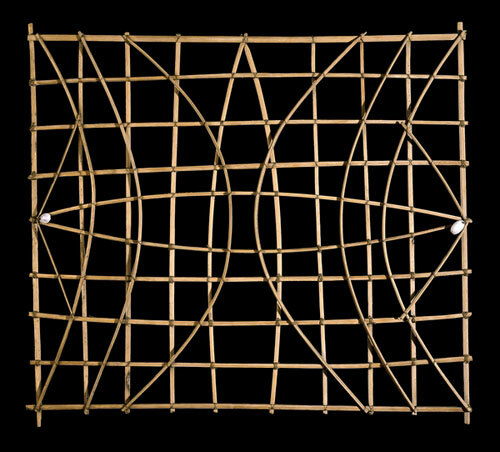 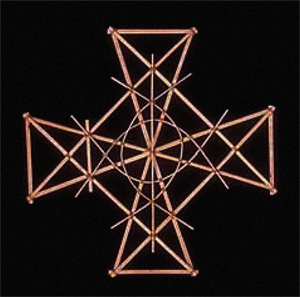 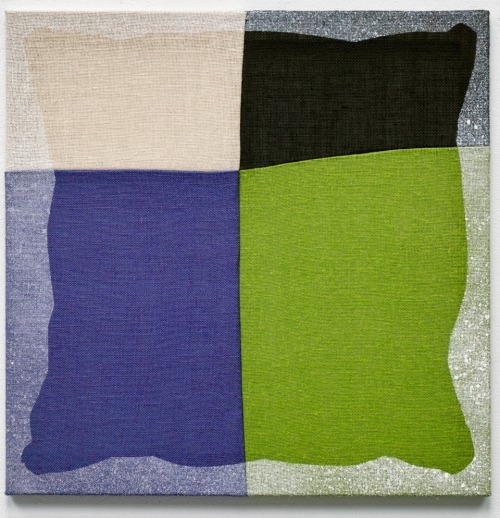 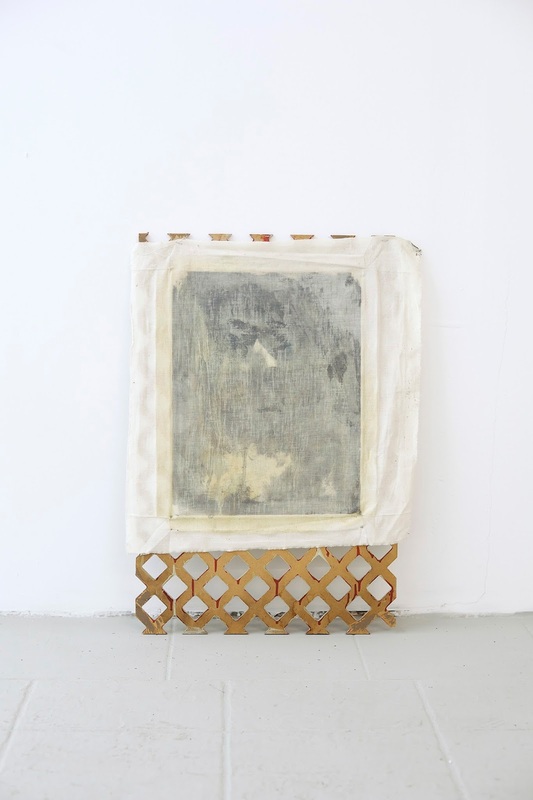 Stick charts were typically made from the midribs of coconut fronds tied together to form an open framework. 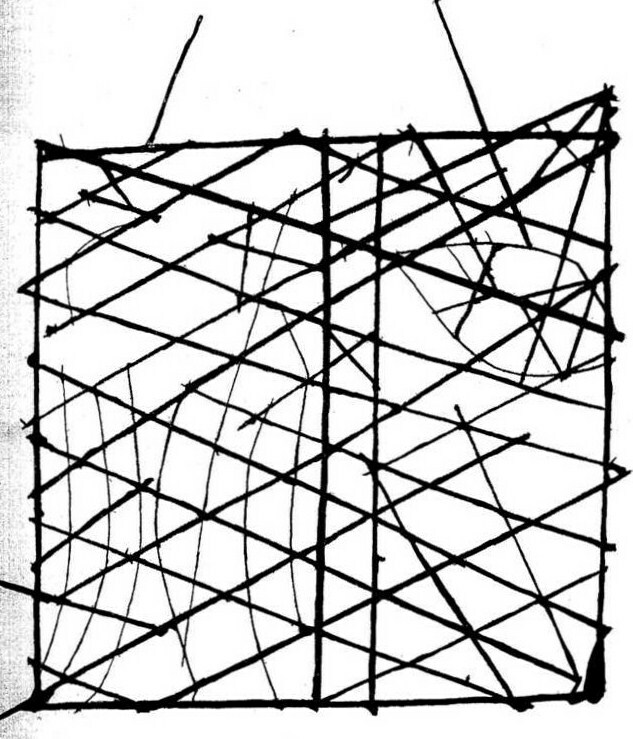 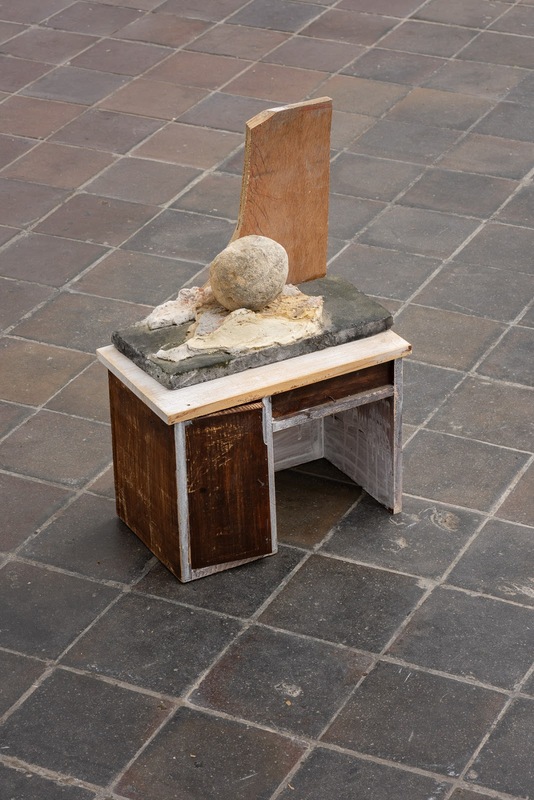 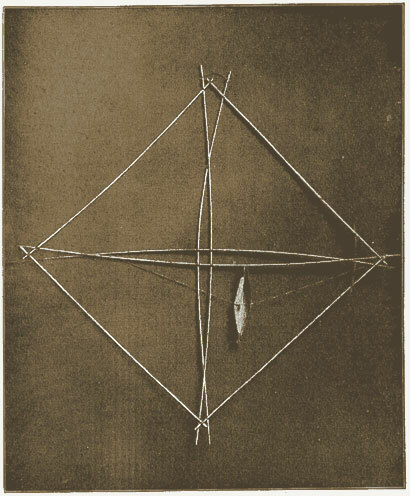 Island locations were represented by shells tied to the framework, or by the lashed junction of two or more sticks. 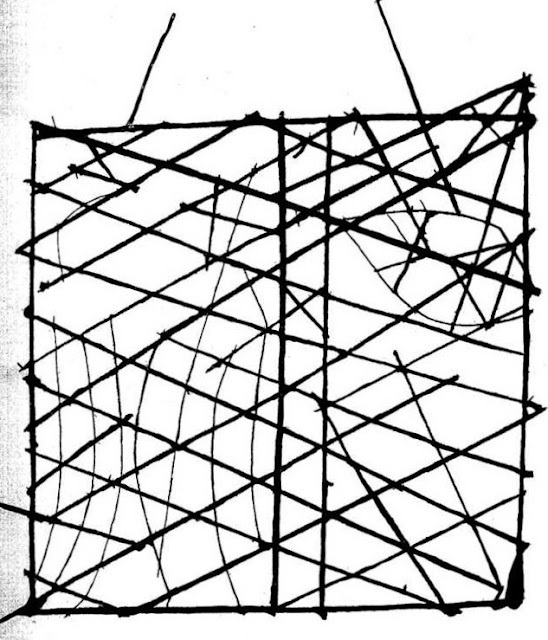 The threads represented prevailing ocean surface wave-crests and directions they took as they approached islands and met other similar wave-crests formed by the ebb and flow of breakers. 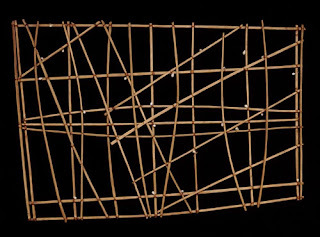 Individual charts varied so much in form and interpretation that the individual navigator who made the chart was the only person who could fully interpret and use it. 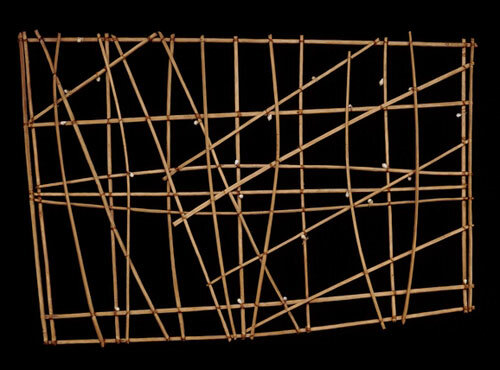 Use of stick charts and navigation by swells apparently ended after World War II, when new electronic technologies made navigation more accessible, and travel between islands by canoe lessened.